Welcome to day four of my four years four day giveaway! If you are here for the first time today please have a nosey, a wee read at other posts, and hopefully a wee bitty of a giggle too. Today I am so excited to bring you what is, in my opinion, an absolutely amazing giveaway! I am so pleased to be able to celebrate my Four Years blogging in style. Some of you I know will be familiar with this shop, and I'm hoping that if you weren't before, you'll enjoy a good browse today! You know me, you know I love my fabric. What I also love, is to find SOMETHING DIFFERENT! And there is no shortage of that here! 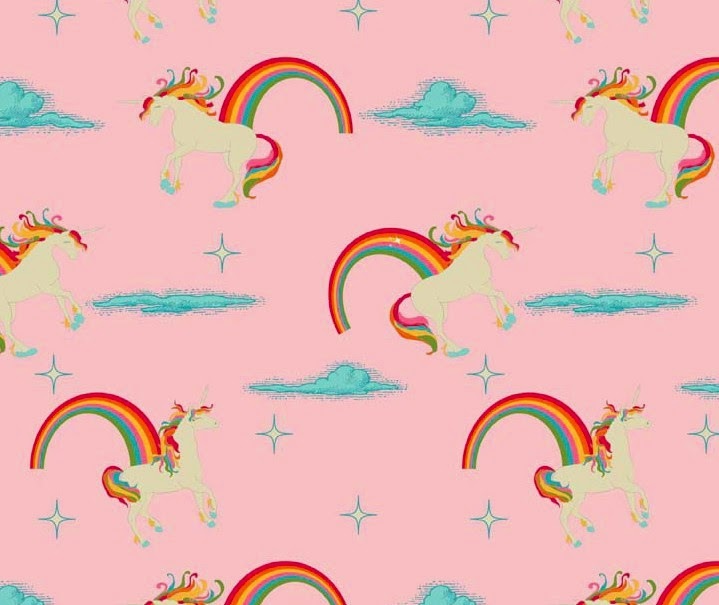 And who doesnt love Unicorns and Rainbows?! 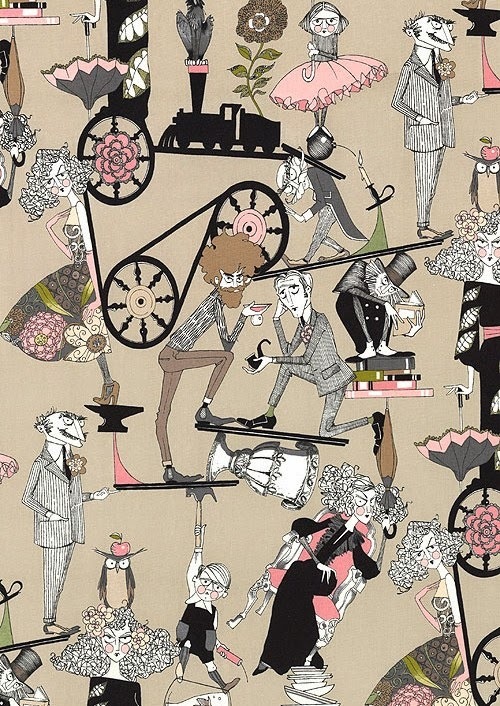 And for the less sugary, how about one of the latest Ghastlie prints from Alexander Henry? I am such a Ghastlies addict! If anyone fancies making a tote for me that Home Sewing II is jsut screaming out to me... so loud it may yet reignite my long, long lost bag mojo... Then again, I could just stretch some over a canvas when I get my new sewing room wall.... oooh now there's a plan. The Golden Garden Oriental is just beautiful, I love the teal especially. Ooooh and dressmakers, how about a 1950' circle skirt (did I mention they do sewing patterns?) in Paola Floral or Melody Millers Skates? As well as a wonderful range of sewing patterns they also stock some quality notions and batting too. Blimey where did the last hour go?! Well now its your turn. Fancy Moon are offering one lucky winner £50 to spend! Fancymoon fabrics have very generously agreed to ship worldwide, so this giveaway is open to one and all! Giveaway will run til December 18th. If you cannot facebook or twitter, please still enter - just visit the shop and tell me what takes your fancy! I've liked them on facebook. I had to stop looking at their shop because I kept wanting to buy stuff. So many fun things. I'd defo' have to get some more camo girls because Chief loves stuff made for him with that fabric. 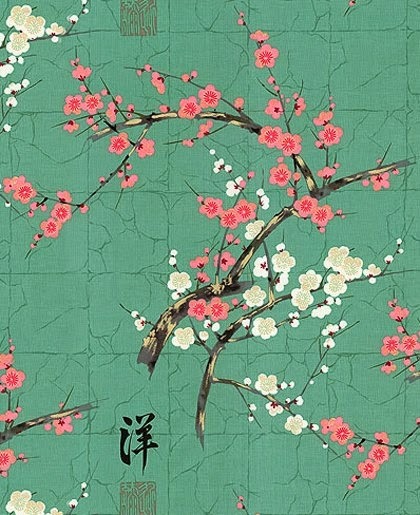 Also there are some nice birdie/feather fabrics and I do like the dragons and that oriental fabric you posted above. Fabulous giveaway Sarah - thanks!! Top of my list would be some Ghastlie fabric! 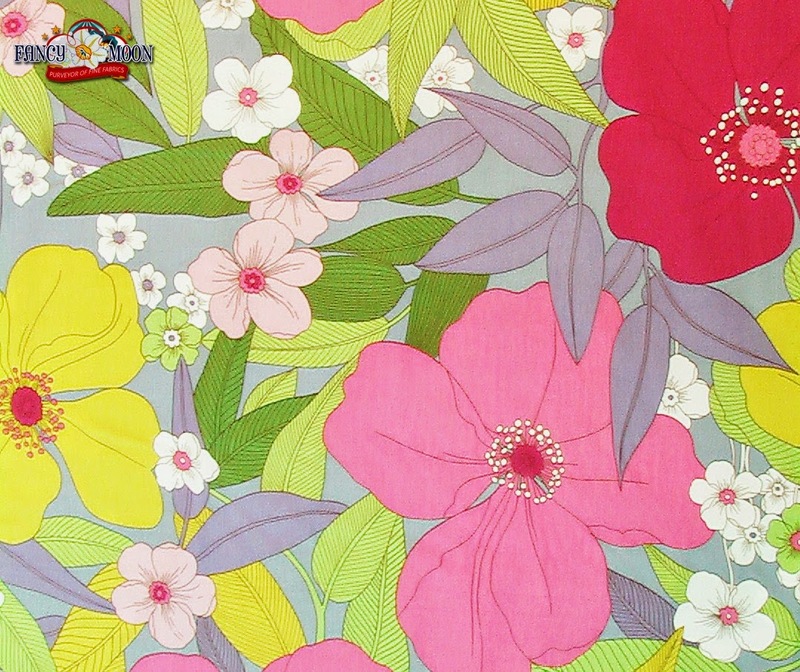 Liked on Facebook and loving their selection of Kaffe Fassett prints. I follow them on Twitter as Aureas Kitchen, as I was having problems on Fb. 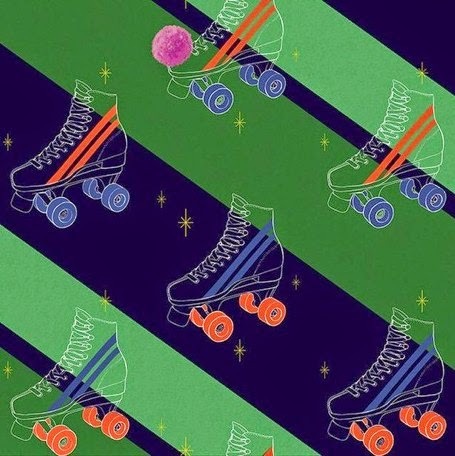 There are some amazing children fabric, some like Ballet Class Kids by Alexander Henry, or Briar Rose fabrics.Thanks and congratulations again. I followed them on twitter, since I had problems getting to their FB page. Had a good browse in their fabrics, I probably will have to get some Iroquois feathers, or Vikings fabric...!! There is so much to choose from! Eeeep = I LOVE that dragon fabric! I would buy that and make pillowcases!!! I have liked themon Facebook - thanks for the introduction! Another post - you're on fire, girl! I'm following them on Twitter. I think I'd get a couple of Kona roll-ups (jelly rolls!) 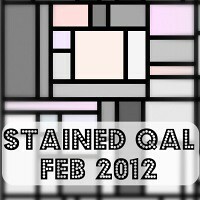 to try a simple strip quilt. Or some 'Just hanging around' to make some pillowcases for my nieces. P.S. I was looking forward to your 'my makes in my fourth year of blogging' as I thought it would be stuffed with photos of the gorgeous Molly Moo but there's not a one! Please may we have double helpings next time?! I follow them on twitter. Oh my goodness they're fabric is amazing! My son is mad about dragons!! But I am very tempted to get the unicorns!! Awesome giveaway, thanks. 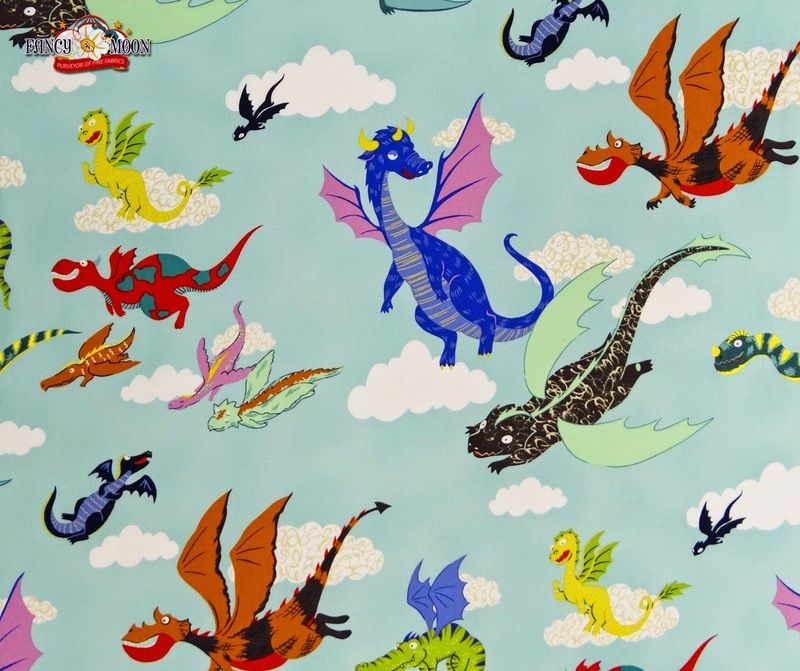 I already like their facebook, I'd definitely get some dragon fabrics (my children are big fans of how to train your dragon) and stock up on solids for next years projects! I would be filling my basket with Golden Garden Oriental to make myself some badly needed new pj bottoms :) And the kittens :) I believe I am already a follower of FM on FB & Twitter. Already liked on FB! They do stock some crazy prints! I#ve tried to like them on FB, really I have, but I have no idea whether I succeeded or not!! I tried to like them on FB too.. not sure it worked. 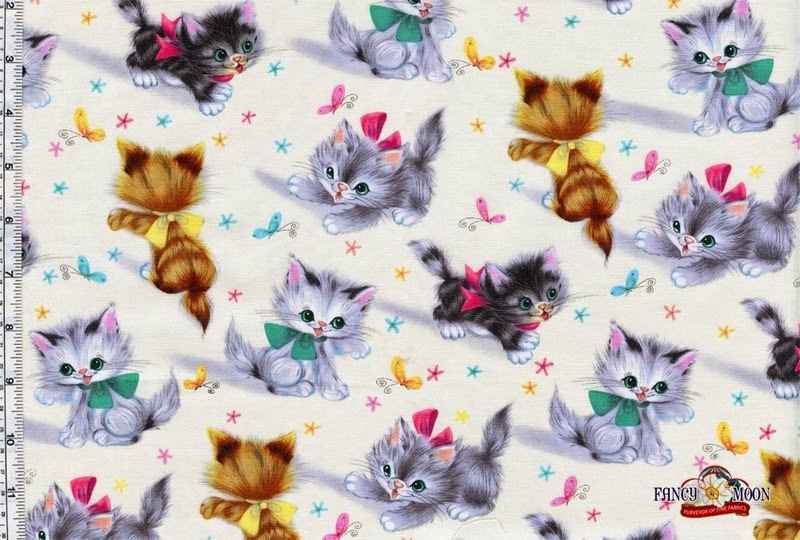 If I had a gift certificate to Fancy Moon I think I might indulge in some Oliver and S patterns - they're just so cute! And of course, fabric for at least the first attempt at making. I have been avoiding the fabric shops so I hadn't seen the new ghastly... 😱 love it!!!! Thus is a new fabric shop for me!!! I now like their FB page and when I am back on the fabric prowl I'll really check them out. I've done the FB thing, and thanks for introducing me to the scrap packs - I *need* some of those!!!!! I like Fancy Moon on facebook, I love all the kitsch print and can't help but want the pin up girls but I'd probably try and be sensible and get some much needed solids!! Thanks for all the great giveaways! Ha ha! I follow them on Twitter! I cannae WORK Twitter but I'll figure it out. *g* I can't get past the unicorns. They are amazeballs. But the AH Mexican wrestlers is brilliantly absurd! I need to get on twitter but for now I just can tell you "wee wander" ... All fabrics of them are just gorgeous! I will have a look at the dressmaking section, but for now I am to tired!